The masters at Bottoli have created a unique fabric - you will not find yourself wearing the same boring coat as everyone else in the office. The colorful flecks, as originally woven in county Donegal in Ireland, add personality and charm, while keeping the look classic and easy to style. 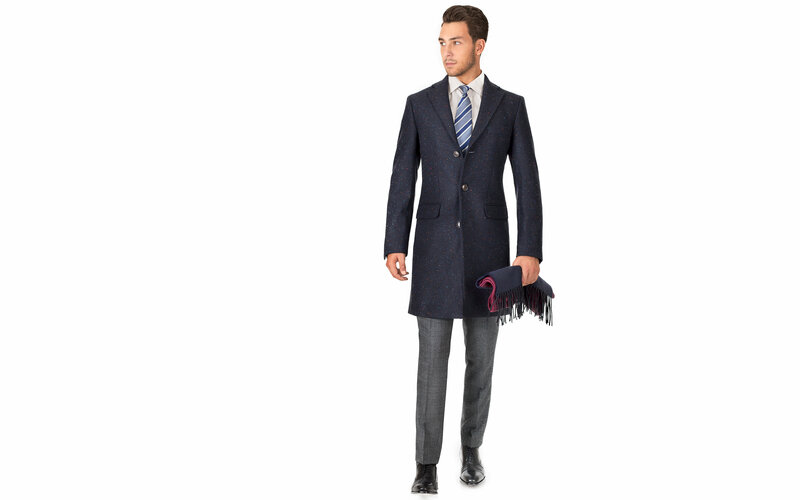 The coat will serve you well on cold autumn & winter days - the fabric is substantial, with a weight of 21 oz. - Italian wool by Bottoli.